The Court of Appeal has today ruled that social care organisations, including many charities, will not have to pay hundreds of millions of pounds of back pay to sleep-in care workers. It was feared many charities would have had to lay off staff or go bust if the verdict had gone against them. Derek Lewis, chair of the learning disability charity Mencap, which has spent £128,000 on legal fees contesting the case, said the decision had removed months of uncertainty about how the law on the national living wage applied to sleep-in carers. Lewis said: "The prospect of having to make large unfunded back payments had threatened to bankrupt many providers, jeopardising the care of vulnerable people and the employment of their carers. "Many hard-working care workers were given false expectations of an entitlement to back pay and they must be feeling very disappointed. "We did not want to bring this case. We had to do so because of the mayhem throughout the sector that would have been caused by previous court decisions and government enforcement action, including serious damage to Mencap’s work in supporting people with learning disabilities." An employment tribunal in 2015 found former Mencap care worker Claire Tomlinson-Blake was entitled to receive national minimum wage for each hour of sleep-in shifts completed, plus six years of back payments. Charities had previously typically paid sleep-ins a flat rate of between £35 and £45, plus an hourly rate for any time spent providing care rather than being asleep. Mencap estimated the tribunal ruling would have cost it £20m and the wider care sector £400m if it had not been challenged. Matthew Wort, partner at Anthony Collins Solicitors, which acted on behalf of Care England, which represents care service providers and took part in the case, said: "The magnitude of this ruling should not be underestimated, particularly when the care sector is already forecast to face a £2bn funding gap by 2020. "Our argument was clear: under the current national minimum wage rules those undertaking sleep-in shifts should not be considered as working while asleep." Dave Prentis, general secretary of the trade union Unison, which acted on behalf of Tomlinson-Blake, described the decision as a "huge mistake" and said it was considering an appeal to the Supreme Court. Prentis said: "Sleep-in shifts involve significant caring responsibilities, often for very vulnerable people. With too few staff on at night, most care workers are often on their feet all shift, only grabbing a few minutes sleep if they can. "That’s why it’s such a disgrace that workers have been paid a pittance for sleep-ins – with some getting just £30 for a ten-hour shift. "As a society we should value care staff and the work they do, but unfortunately we don’t. After this judgment, who could blame care workers for leaving in their droves?" Many charities increased pay rates for sleep-ins in the wake of the 2015 tribunal. Mencap has said it will continue to pay the same rates, but today's verdict might prompt others to lower theirs, according to Emma Burrows, partner at the law firm Trowers & Hamlins, which represents care providers. Some, she added, might also seek to recover back pay they have already paid. The ruling also places a question mark over the future of the Social Care Compliance Scheme, which the government launched in 2017. "Under the scheme, care providers had until 31 March 2019 to make back-pay payments, which are conservatively estimated at £400m," said Burrows. 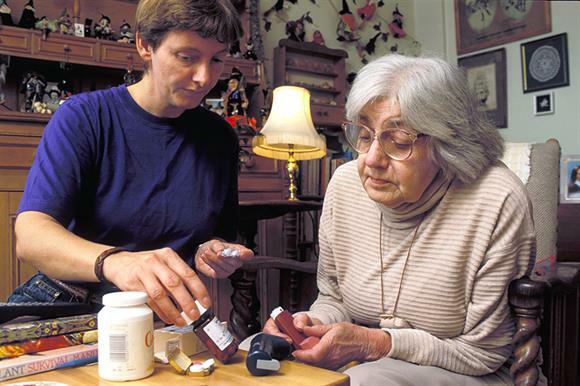 "There is sense in care providers now withdrawing from the scheme, if it continues." A survey by Agenda Consulting and Trowers & Hamlins in February and March this year, which attracted 109 responses, revealed that less than half of care providers were funded in part or in full by commissioners to provide sleep-ins. Sixty-eight per cent said there was a threat to their viability if six years of back pay was enforced. Rhidian Hughes, chief executive of the Voluntary Organisations Disability Group, said: "There are no winners from this decision. "Now the government has a chance to do the right thing – enshrining and supporting the national minimum wage by ensuring legislation is clear that all workers are entitled to the national minimum wage and funding all essential services at this level."